The Tarot cards for today are the Magician (Angel of Magic) and the Eight of Pentacles (Dedication). 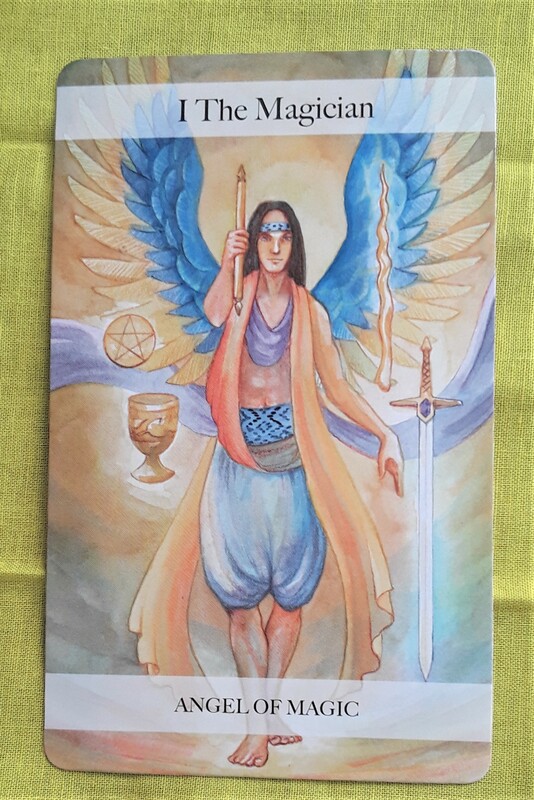 Like the Magician, use all the tools that you have available: logic (Swords), common sense (Pentacles), your sixth sense (Cups), and gut instinct. Use these tools to make magic out of work projects that show your skill, as well as family-related projects, such as buying/wrapping gifts and decorating. The Tarot card for today, Saturday, and Sunday is the Eight of Pentacles (Dedication). This could well be a time to devote yourself to everyday practical matters, things related to family, or issues related to mother earth. Many people in the U.S. will be celebrating Thanksgiving next week. So this energy could translate to making preparations — whether it’s decorating/cleaning the house, planning a menu, shopping, or getting ready for travel. If this is not your thing, then dedicate yourself to making sure you feel safe, grounded, and taken care of. In either case, be proud of what you are able to accomplish. The Tarot cards for today are the World and the Eight of Pentacles. 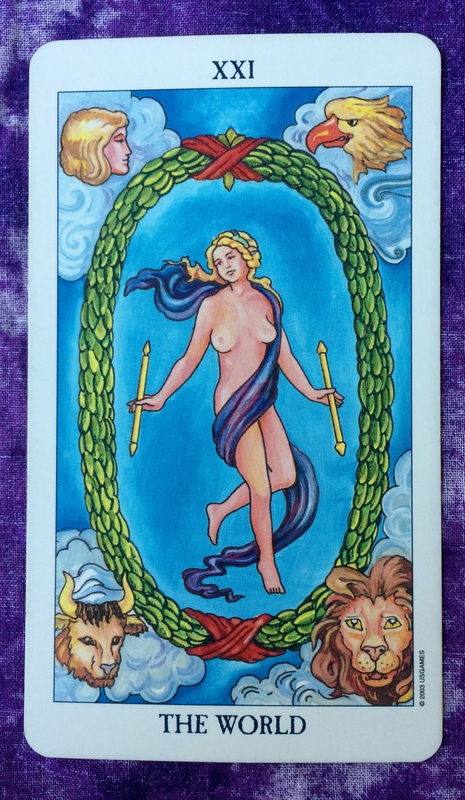 The World card shows that we have come to the end of a cycle, and indeed we have with today’s full moon in Taurus. 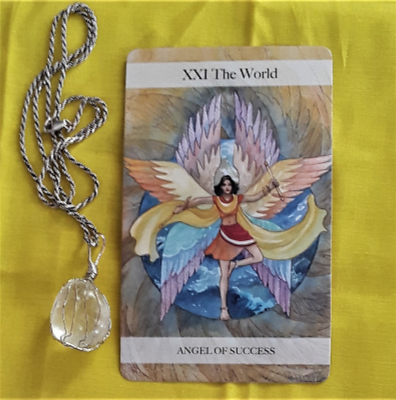 As the World card suggests, it is time to receive the benefits of your hard work. 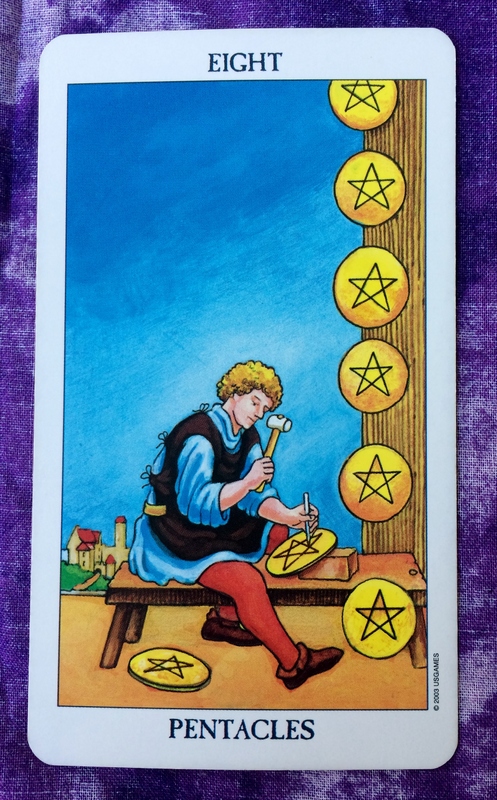 With the Eight of Pentacles, this work may have involved practical things such as your job, finances, and projects that involve some sort of skill. But I truly believe that this work can relate to any area of your life that you have been focusing on lately. As you enjoy your successes, begin to think about your new goals and how you want to achieve them. Then, when the new moon comes in about 2 weeks, you will be ready to put your ideas out there. The Tarot card of the day is the Eight of Pentacles. Perhaps you have been quite busy lately working on a particular project related to your job or home improvement. 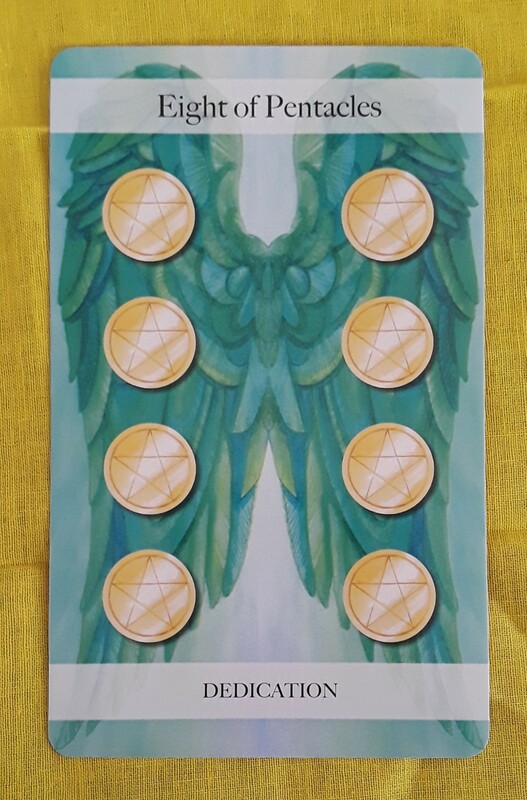 The Eight of Pentacles confirms that you are doing a great job. So keep up the good work. Take pride in your efforts but make sure that you don’t go overboard trying to be a perfectionist. Whatever you put your heart into is already perfect. Hi, all! The Tarot card for today, Saturday, and Sunday is the Eight of Pentacles. This card suggests that you should continue to put in hard work because it its helping in so many ways. First of all, you are getting satisfaction from doing the work you love. Second, you are good at what you do. Third, you are very close to reaching your goals and closer to financial reward. Keep in mind that the full moon in Scorpio is on Sunday. Full moons are times when we start to see returns on our investment of time, effort, and/or money. 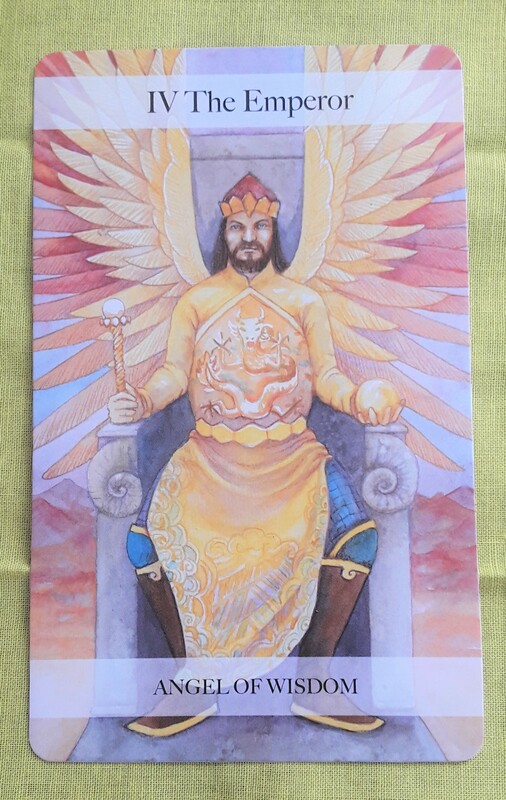 The card for today is the Eight of Pentacles. You are close to reaching your goals, so keep doing what you are doing. When it is all said and done, you will get what you have earned through your hard work. Trust in your ability and trust that what you are doing is worth the effort.